Great little changes have taken place recently during the past weeks, have you noticed? First of all, I'm happy to announce you that MY GLUTENACIOUS LIFE is now .COM ! Secondly, I have joined some more social media. 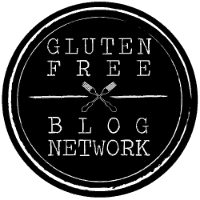 I'm glad to announce that MY GLUTENACIOUS LIFE has now its own domain, becoming myglutenaciouslife .com, yey! It might look like a subtle change, but it's a great step ahead. *If you type the old address <http://myglutenaciouslife.weebly.com> you'll be sent straight away to the new domain myglutenaciouslife.com. My Glutenac﻿ious Life at the Social Media. Have you noticed that new media icons and links have been added during the past weeks? Whether you are a Facebook fan, Twitter enthusiast, keen on on sharing your pictures on Instagram or prefer to pin all those cool pictures on Pinterest now you can find me there (and I'll be happy to connect!). You can now find MY GLUTENACIOUS LIFE on Instagram, Twitter, Facebook, Pinterest y Bloglovin' , besides RSS. Instagram: The perfect platform to immediately share what's going in your life, one picture at a time. From me, you will mainly find food pictures (foodie lover here) either home self-made food or eating out experiences, as well as the day to day life of a coeliac and trips. Twitter: The art to express yourself within 140 words. I tweet about interesting findings on traveling tips, coeliac life and of course gluten free food. I also notify through this media about new blog updates; you can keep an update on the Instagram pictures as well. Facebook: There two Facebook accounts for My Glutenacious Life: one is the official My Glutenactious Life community web page and the other one is the personal account Glutenacious Glutenacious, as a personal profile to support the functions that the other account cannot offer. I also share new Blog posts updates through here and links to articles that I find interesting, such as that new cool hotel in Paris. - Boards created from my own content, being all the publications from the webpage and the pictures from the Instagram account. They are all arranged in different categories (travel, cuisine...), mostly as the categories from the Blog. - Boards from other Pinterest users, which are also categorized, such as gluten free recipes, general cooking recipes that I found easy to adapt to a gluten free diet, traveling tips and hacks, luggage packing, travel guides.... Be aware that there is one board dedicated exclusively to Brunch & Breakfast, that's how much I love it. Shortcut icons for Social Media. Icons located on the upper corner of the webpage. Whatever social media you prefer the most, feel free to step by and say hi, I'll be happy to connect with you. What's your favourite social media? Is there anyone of them that you use more often than the others?